Other DVD Apps for iPad to Replace Crashing DVD App for Mac.Now while you can’t really make DVD movies using your iPad for now, it’s very fortunate that you could still get to watch DVD movies over the iPad. This could be done however, only if you download and install DVD player apps on your iPad. There are quite a number of different media players available for download. These are our top two choices. First on the list to replace crashing DVD App is the DVD Player for iPad. It could be a little tricky to install though but once you get past the installation process (that is already listed down on iTunes), then you’ll be okay. It’s one of the most basic DVD player apps. It’s not too heavy on the system requirements, you just have to make sure that your iOS is updated. Finally, though it does say that it works for other devices as well, it still works better on both of the tablets, iPad and iPad 2. 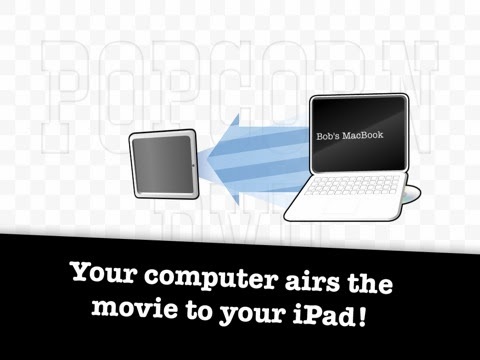 The next one to replace crashing DVD app for mac and DVD player for the iPad is Popcorn DVD. It’s technically easier to install as compared to the DVD Player. It’s also easier to use. You just have to install both the app for the computer, and the app for the iPad. Next, you have to ensure that both of these devices are within one WiFi network. If they are, then all you need to do is to play the DVD on your computer, and open the Popcorn app on your iPad. Like magic, the movie is already on your iPad. Enjoy! For now, it’s okay to say that developers are still in the process of developing a real DVD app that would allow you to actually play DVD on your iPad, and not playing them on your computer and then just syncing them within the same WiFi with your iPad. Maybe someday there’s just going to be an iPad app that would rip or send the DVD to your iPad already transformed in a format that suits your iPad, allowing you to take the movie anywhere, and play it on your iPad whenever you like it. One of the first apps to ever do that is RipIt. However, this is not an app for the iPad. This is an app for Mac. You just have to install this app on Mac, and then it’s going to have the ability to rip movies from your DVDs and compress it in such a format that it’s going to be playable on the other devices as well, not only on the iPad, but on the iPhone, iPod Touch, etc. See? If you’re really a movie buff, there are ways to watch your favorite movies on your iPad. It’s just up to you which apps are going to work better for your personal preference. In any case, there is a free version of the DVD Player, so you could download the free version first to try it out. The Popcorn on the other costs a little less than $4. Finally, RipIt is free to download if you have a Mac.